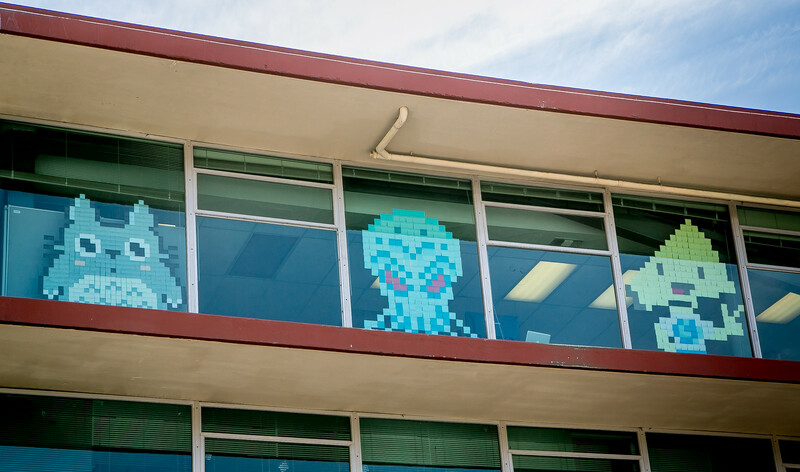 Driving south on Milvia, as you cross University you may have seen the post-it art on the windows of the second and fourth floors. The building once housed Vista Community College and the City’s permits office. Ace Hardware is in the process of moving into the street level. 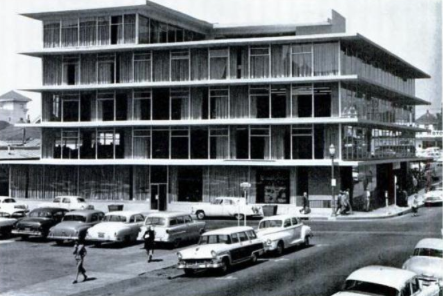 It is the Tioga Building, built in 1952, using an innovative lift-slab technology. The architect was Edwin Judson Schruers (died 1999), who came to Berkeley by way of Harvard. 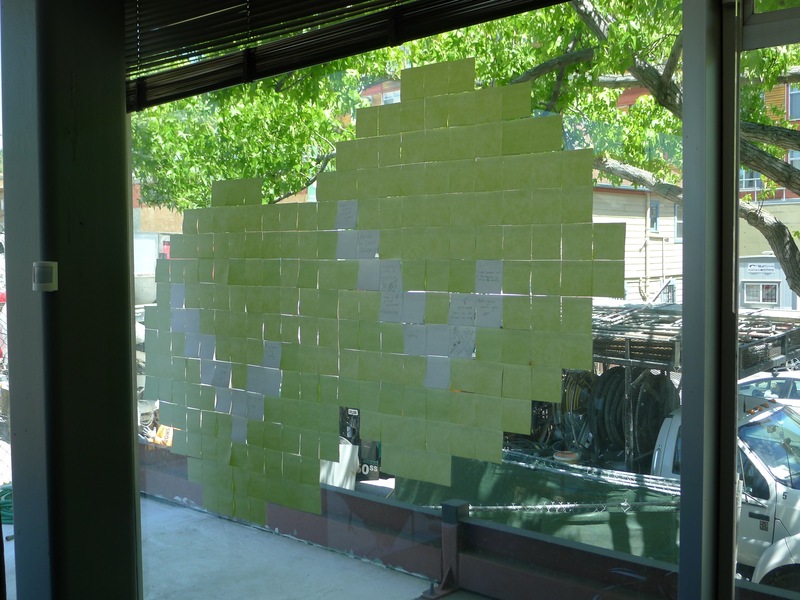 In a matter of months the post-it art on the Tioga’s windows won’t be visible from the street. 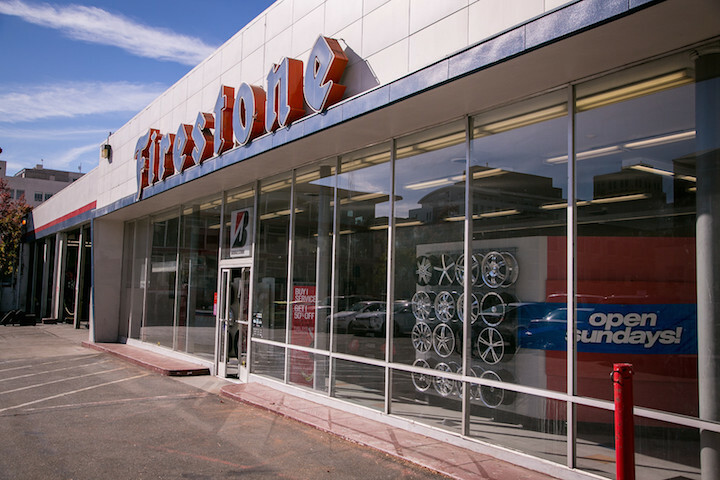 The Firestone dealership on the southwest corner of Milvia and University was torn down last year. Too bad! Cool building! 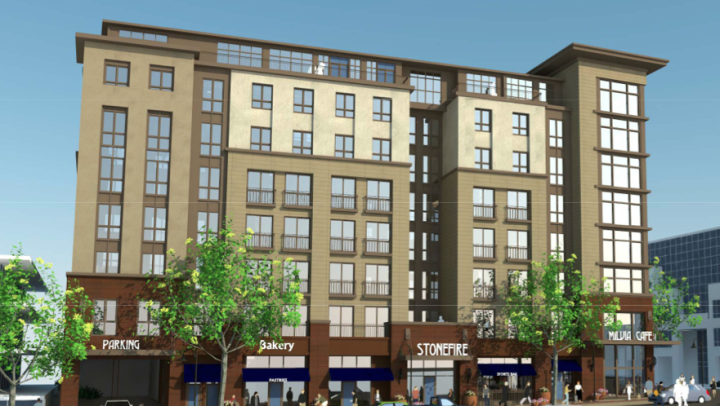 Rising up is an eight-story multi-use building known as the Stonefire Building. From Firestone to Stonefire. 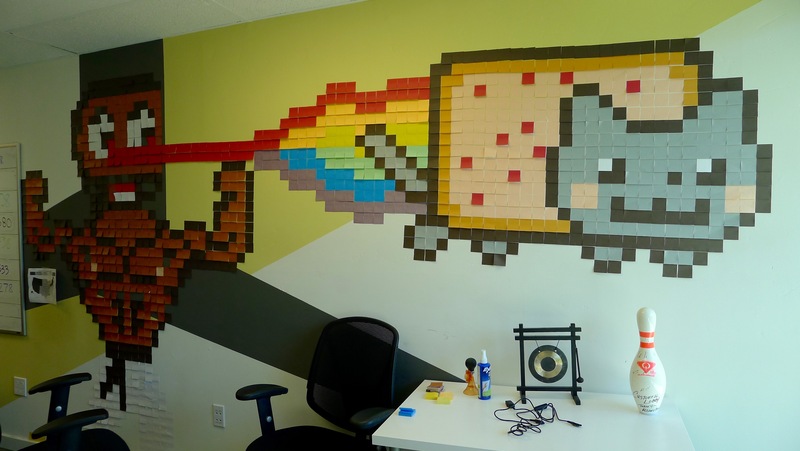 It will block out the post-it art. Art is not eternal. 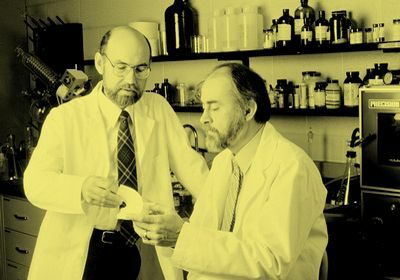 Extensive online research led me to understand that Dr. Spencer Silver of 3M developed a “low-tack,” reusable, pressure-sensitive adhesive in 1968. It was a solution without a problem until 1974, when Art Fry developed the idea of Post-Its under the terms of 3m’s officially sanctioned bootlegging policy. 3M launched “Press n’ Peel” in 1977. No traction. 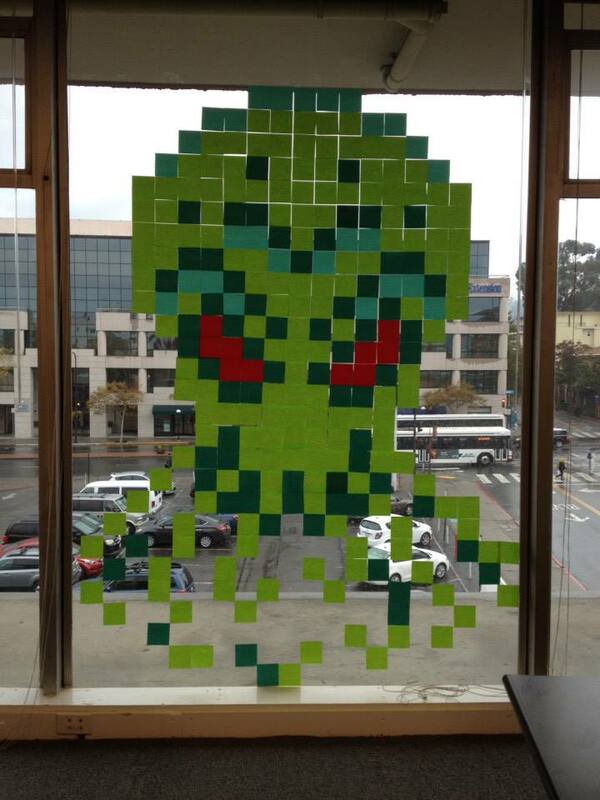 In 1979, 3M rolled out Post-Its. Bingo! The patent has expired, but the product booms, digital age or not. 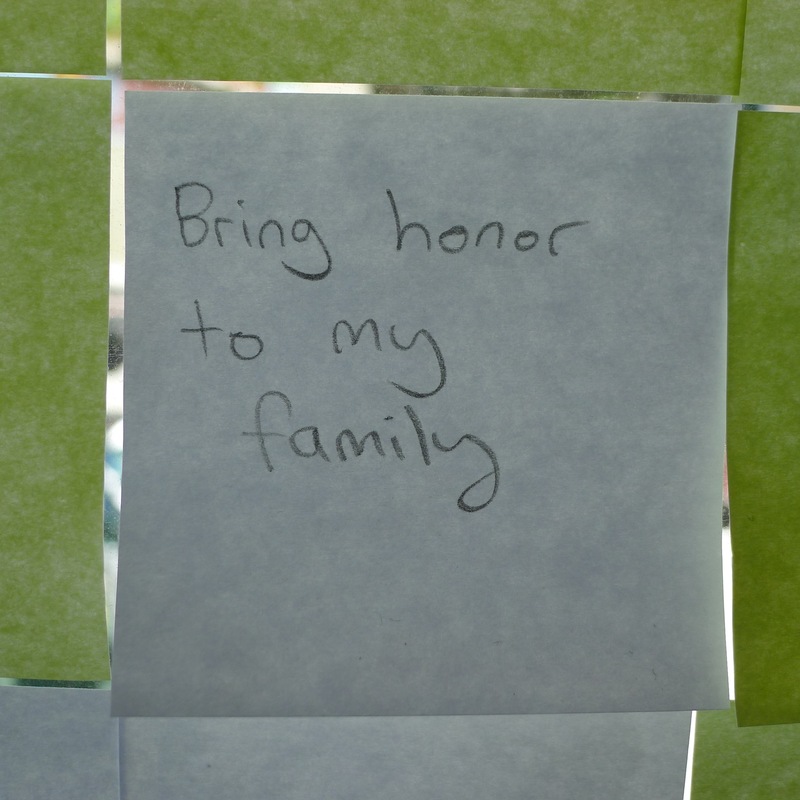 It has become a generic term – meaning – I am not completely sure that 3M Post-Its were used at Milvia. I will check. Back to the art. Let’s start on the fourth floor of 2020 Milvia and work our way down to the second floor. The pieces on the fourth floor came first. There are more of them than on the second floor. And I believe in getting the climb up to the fourth floor done first, and then it’s downstairs all the way. Customer Lobby occupies most if not all of the fourth floor. It specializes in repeat customer marketing and online reviews for small and medium-sized businesses. Allegra Lundy, Member Services Manager, showed us around. 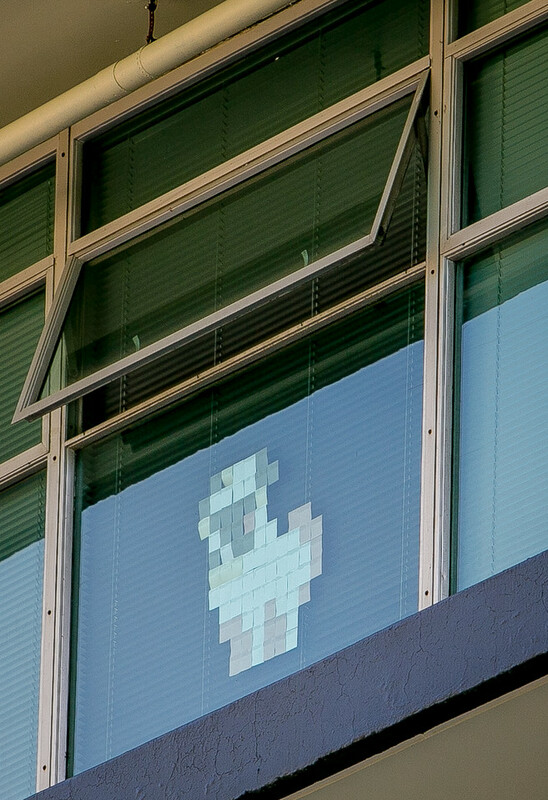 The post-it pieces on the fourth floor were created by Trevor Johnson of Customer Lobby’s tech team. The yellow piece on the western end of the north-facing windows is a depiction of Customer Lobby’s megaphone logo. 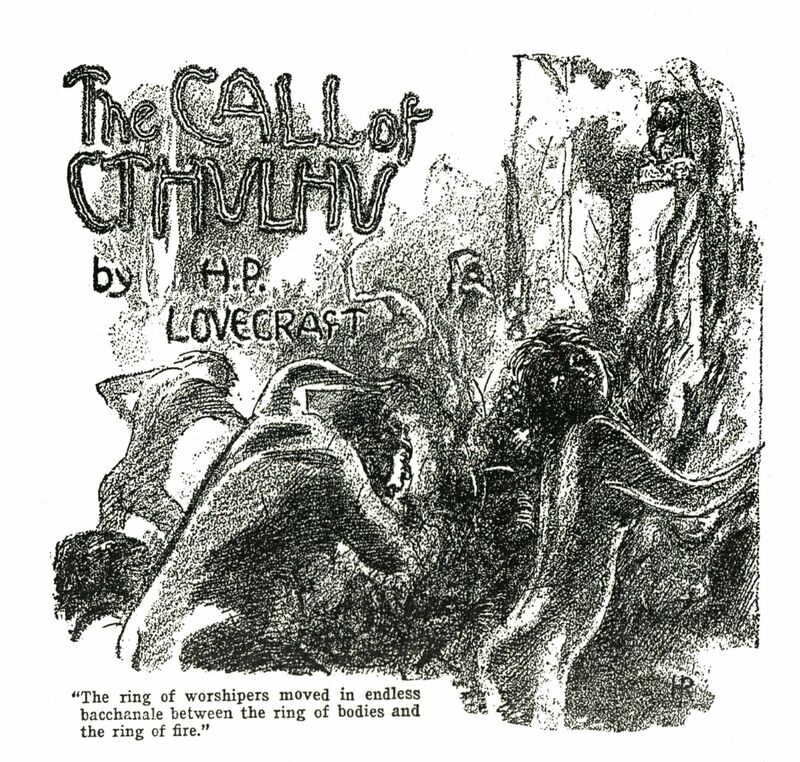 The center blue piece is Cthulhu, one of the Great Old Ones in H. P. Lovecraft’s “The Call of Cthulhu,” published in Weird Tales in 1928. 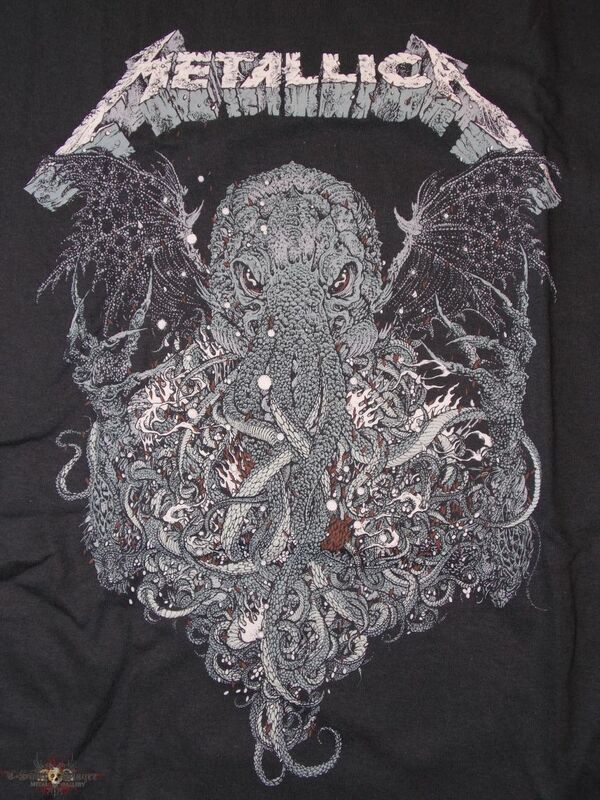 He was part octopus, part man, and part dragon. If somebody is interested in the rabbit hole of the different spellings, jump down it. I will pass. At the eastern end of the windows is a Chibi-Totoro, a spirt of the forest. 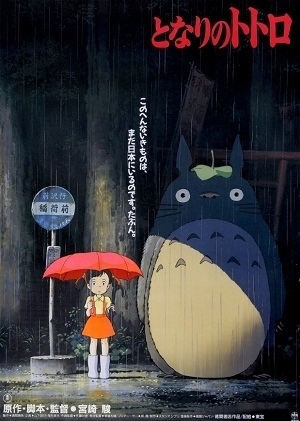 Totoro first appeared in a 1988 Japanese anime movie となりのトト (My Neighbor Totoro) that Hayao Miyazki wrote and directed. The big gray Totoro is an Oh-Totoro. The medium blue one is Chuu-Totoro. The little white Totoro is Chibi-Totoro. 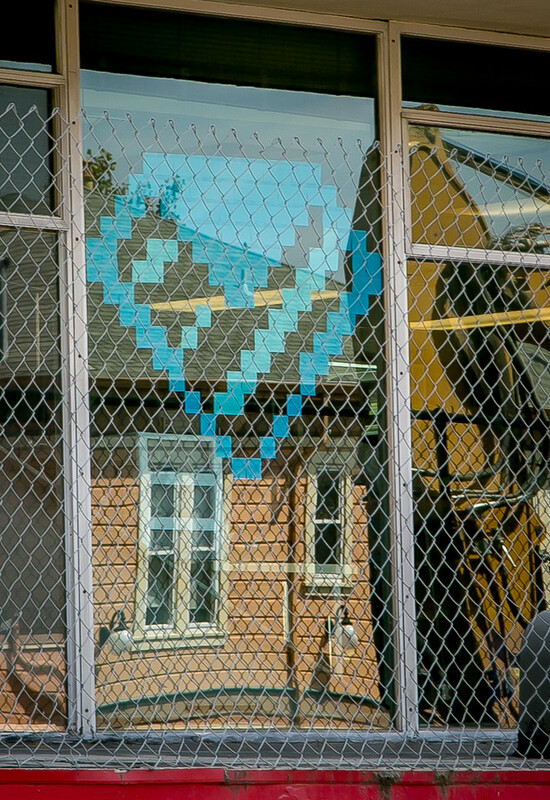 I had not noticed, but a couple of pieces are visible through a tree from the sidewalk on Addison, on the south-facing windows of Customer Lobby’s customer service office.  There is a flying pig delivering mail. And there is a pug, facing west. There are two more pieces that are only visible in the office. There is a flying toaster, perhaps a nod to After Dark, a series of computer screensaver software introduced between 1989 and 1991 by Berkeley Systems. And then what in my opinion is Johnson’s finest work, a portrait of Customer Lobby VP of Engineering Shiv Indap and a Nyan cat. 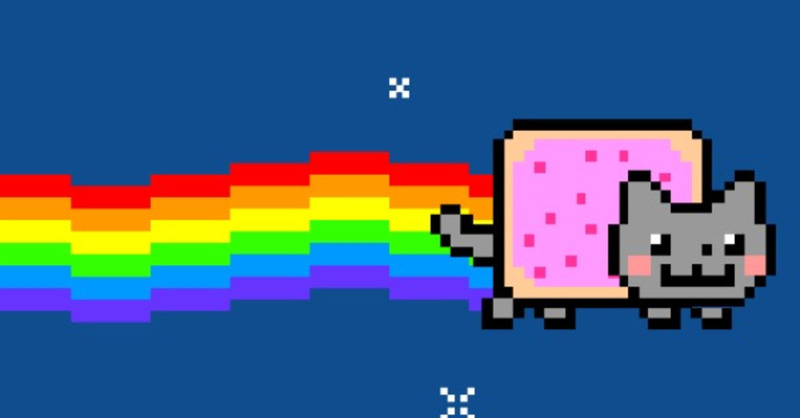 Nyan Cat was a 2011 YouTube video that became an internet meme. As of May 8th, 2015, it had 134,000,000 hits. A lot! The cat’s body is a Pop Tart. It leaves a rainbow trail as it flies through the sky. 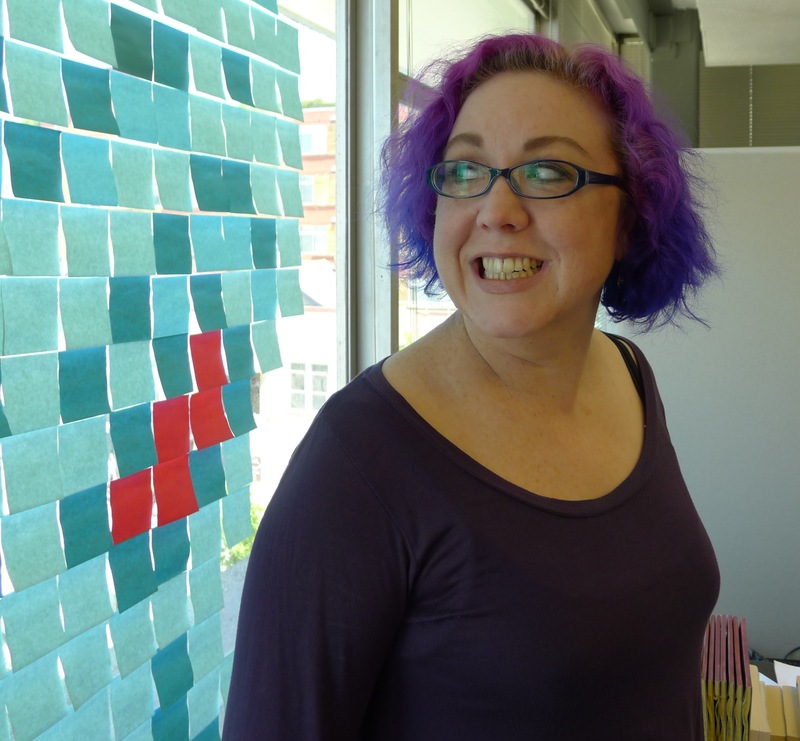 Okay – down to the second floor where Magoosh and Everlaw share a large open office. This Officelovin.com article gives a good sense of the office environment. Magoosh produces online test preparation courses. Everlaw provides a full litigation platform, a a cloud service that law firms can use to store documents and make them easily searchable with artificial intelligence-enhanced software. Kevin Rocci, a senior manager, showed us around. 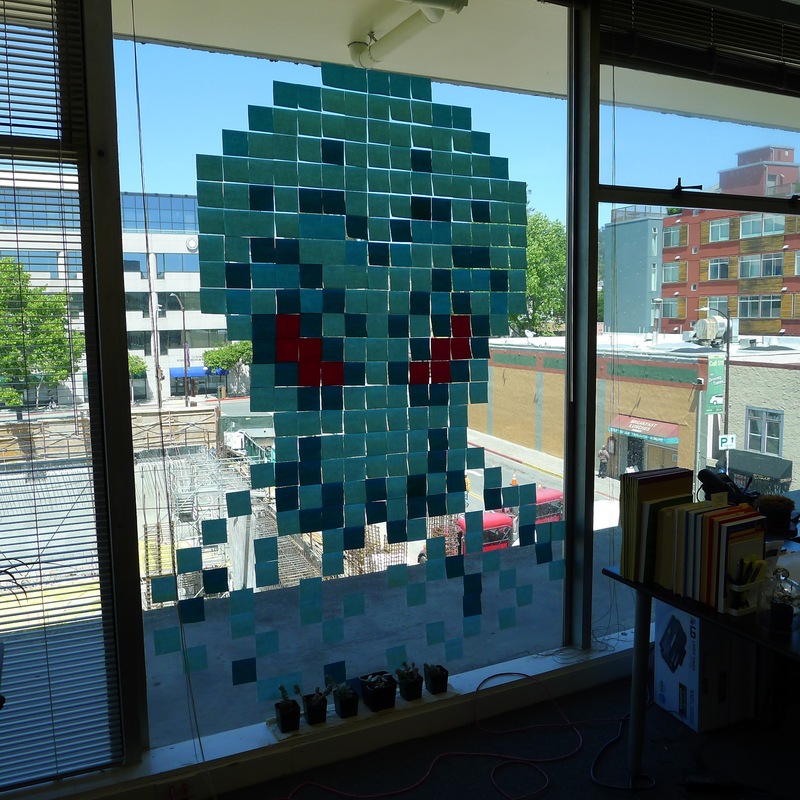 The artist who made the post-it art wishes to remain anonymous. Of course. Wish granted. Anonymous it is. The next, also on the south-facing windows, looks like a starship. It is! 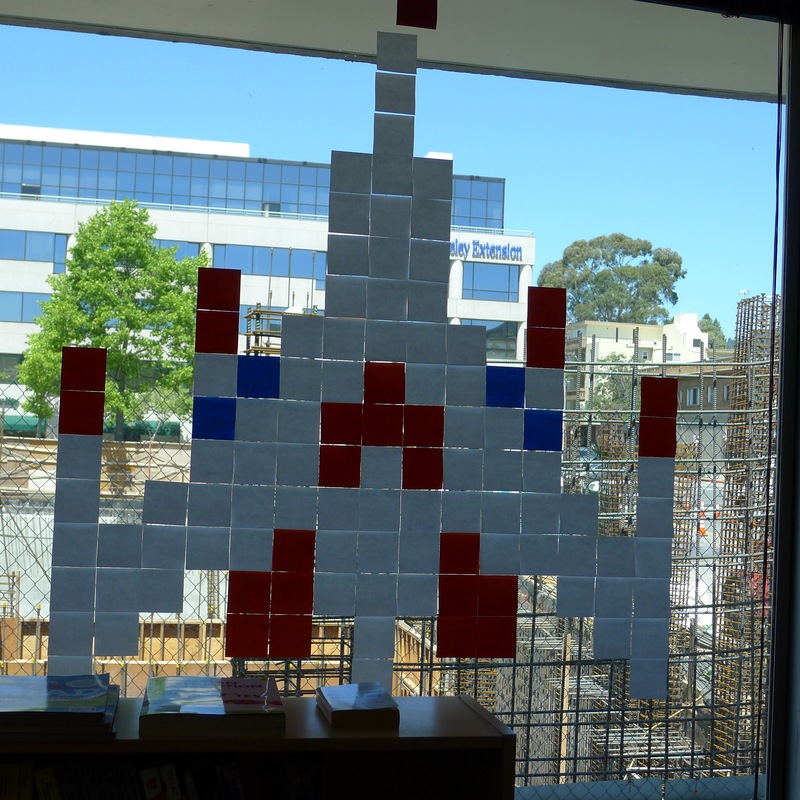 This design is derived from Galaga, an arcade game first released in Japan in 1979 and then in North American in 1981. 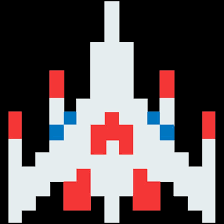 The star fighter in Galaga is the player’s fixed shooter at the bottom of the Galaga game screen. 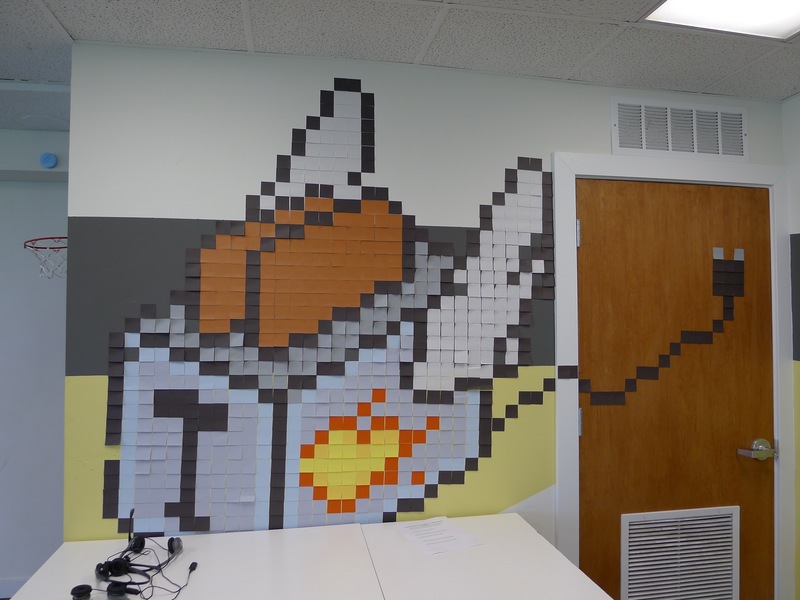 The pixelized nature of early arcade game graphics lends itself to post-its. 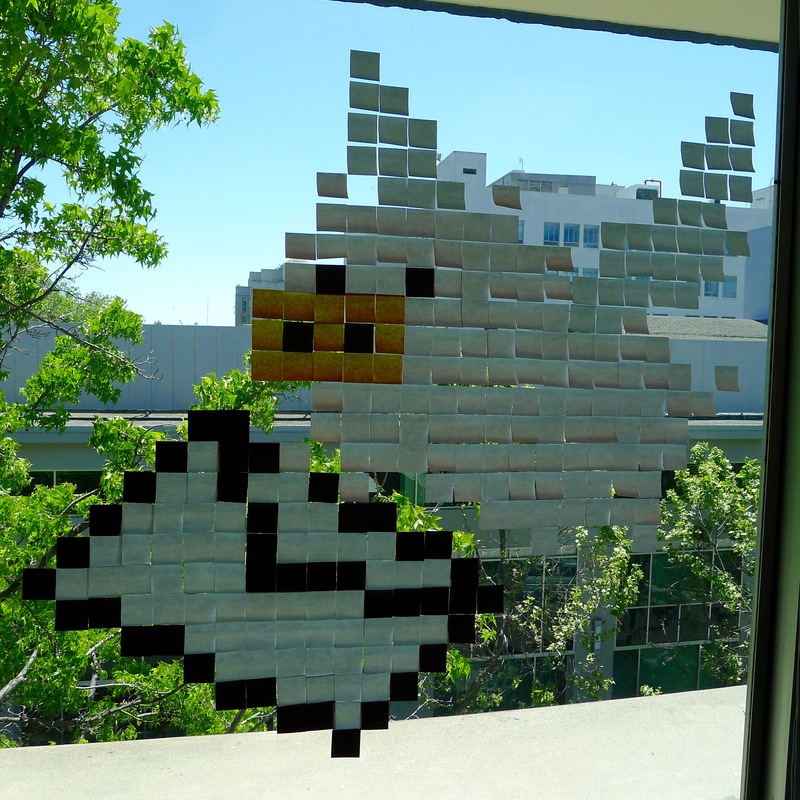 It was made on a “hack day” at Magoosh, a day when normal work activities are suspended and other projects worked on. Such as this yellow piece. When I was a boy, “hack” meant to idle, to not do what one was supposed to do. It later became a major word in the lexicon of computer programmers. 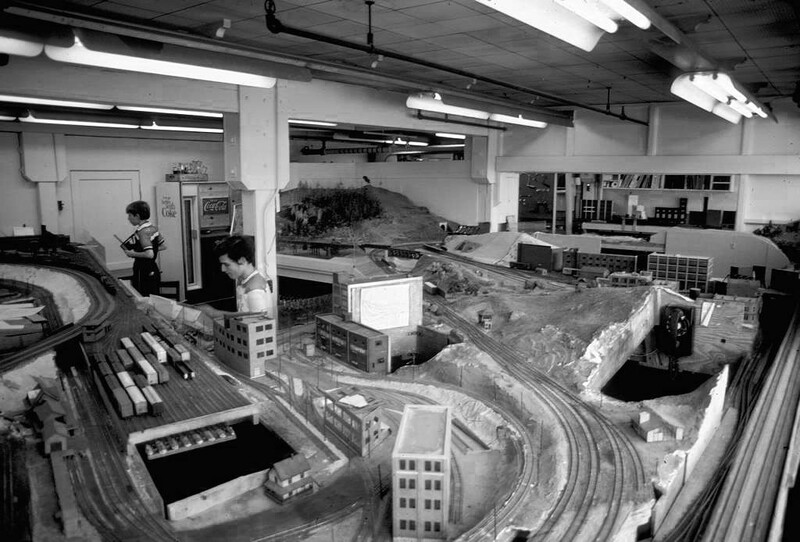 In that sense, it was first recorded at the MIT Tech Model Railroad Club in April 1955. Imagine that! 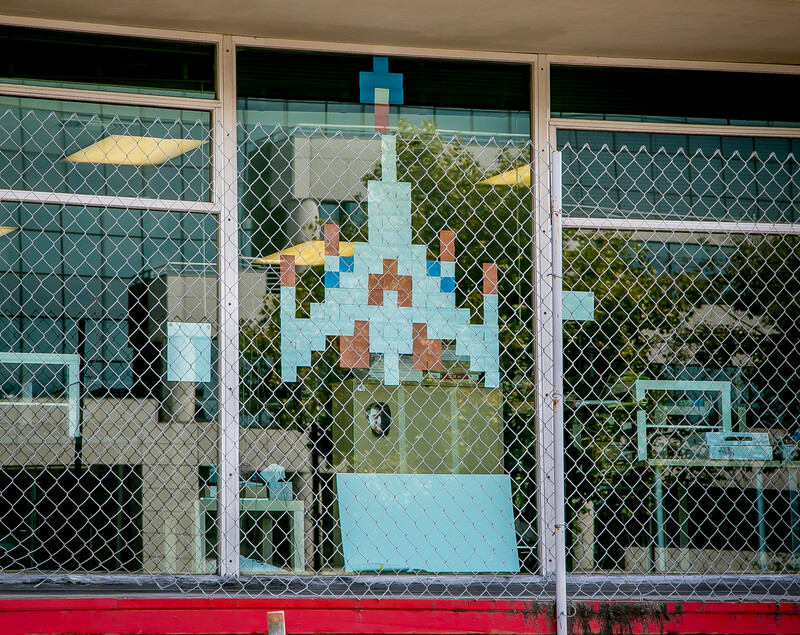 If you haven’t noticed the post-its on the windows, notice them now before they get blocked. 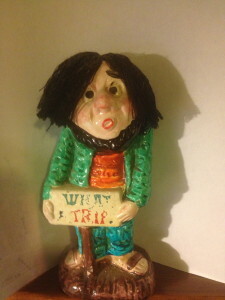 The art is emblematic of the mostly young people working for the three businesses. 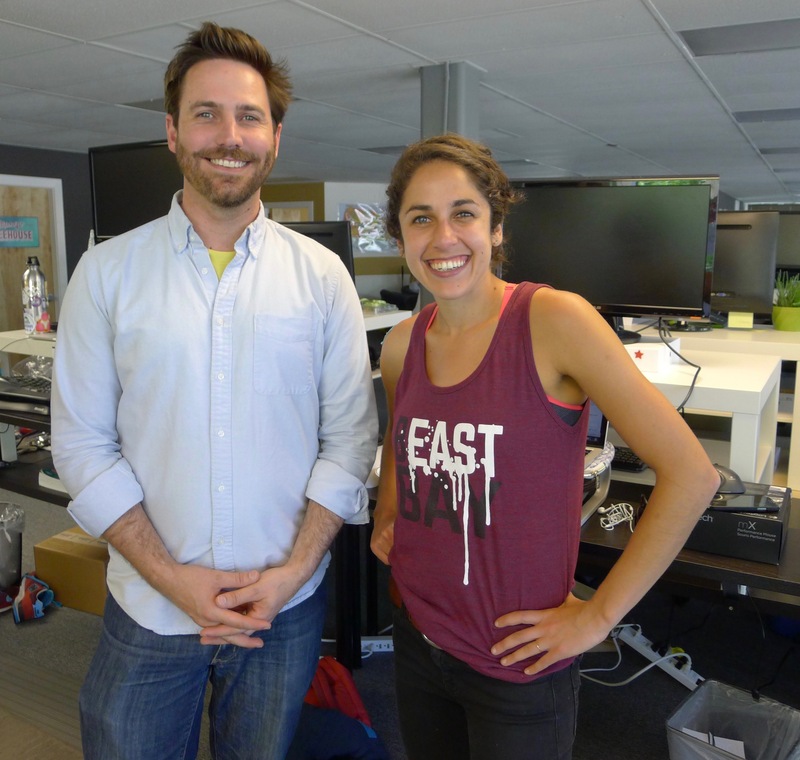 There is an energy in these open offices, where smart 20-somethings and 30-somethings work hard and work quiet and work different not because of set or hierarchical rules, but, just because. 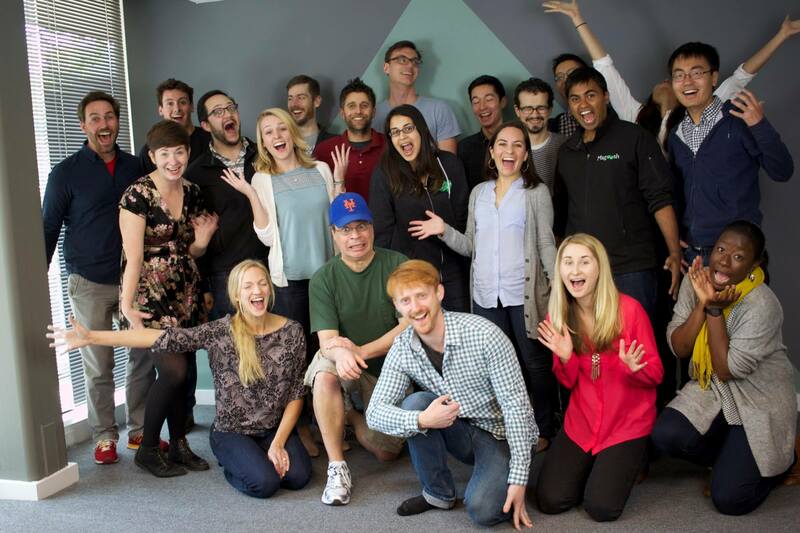 This Facebook photo of the Magoosh team gives a sense of the demographics and spirit. I felt old and I felt inspired and hopeful visiting these offices. The people there are working hard and they are working smart and they are working in a way that is alien to me, in a a new world. I admire them. I have hope because of them. 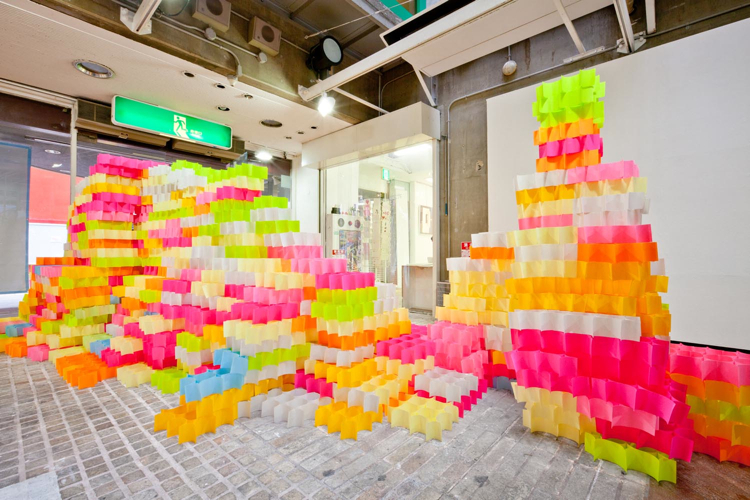 And I dearly love the post-it art. He knows I am not fond of forced slang such as “coinkydink” for “coincidence,” but I did not rise to the bait. What about the art on Milvia? P.S. 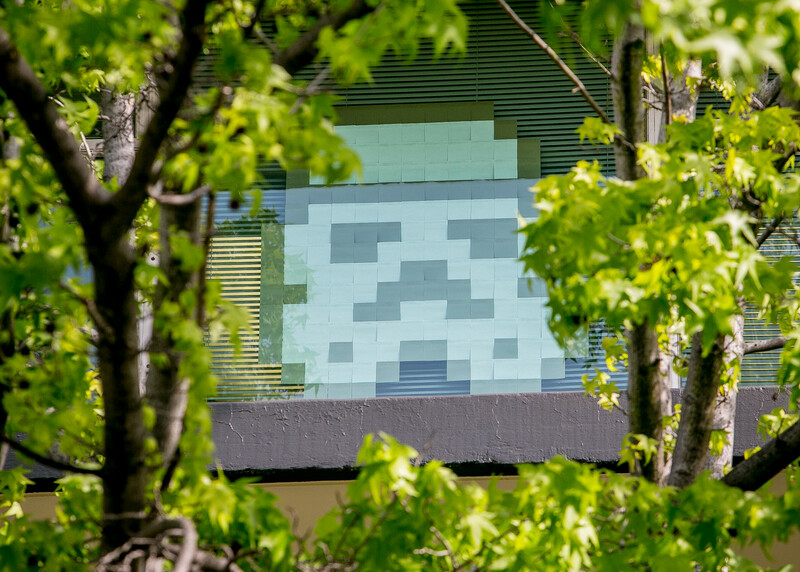 On May 18th, 2016 – fully three days AFTER this post – the New York Times discovered post-it art. 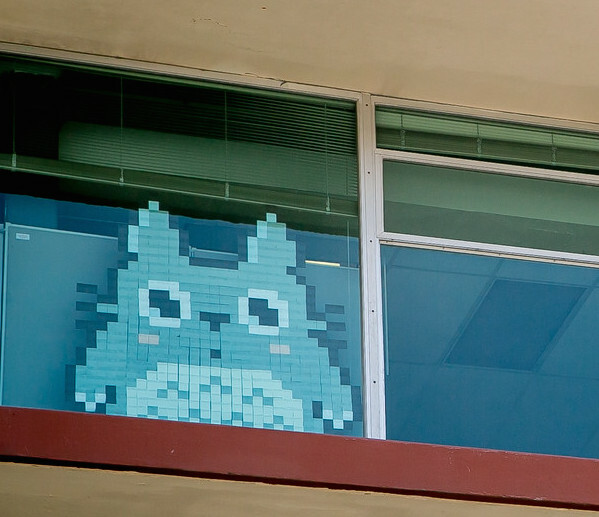 Their story “Office Workers Start a Post-It War, and Stick With It” is a fascinating article, but oh so Old News. 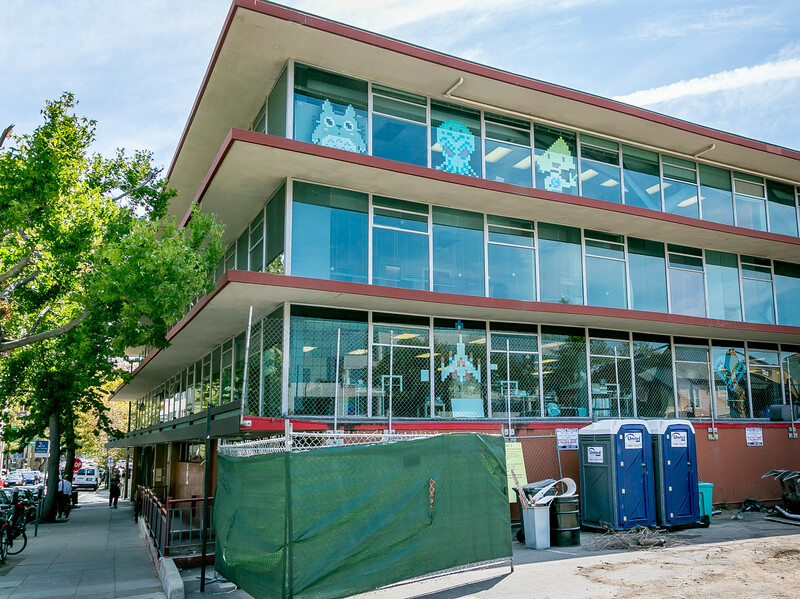 Quirky Berkeley scoops the NYT! 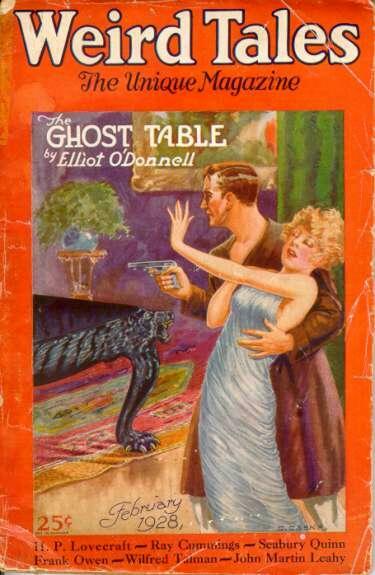 Man, I don’t know how you find this stuff, but it’s great ! Shiv happens! Thanks. Fixed. No Shiv.